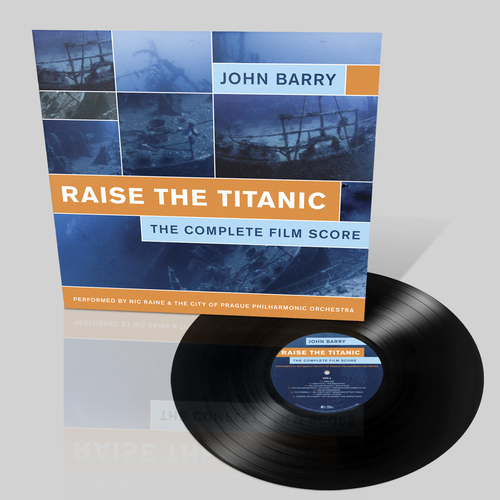 John Barry’s “Raise The Titanic” is the first in a new series of Silva Screen vinyl releases for the serious soundtrack collector. The series will include scores of outstanding quality that for some reason or another exist in their best form as a recording made subsequently to the original soundtrack. The masters for Barry’s “Raise The Titanic” were lost and the film was panned by both critics and audiences alike upon its release in 1980. When Barry went on to win an Oscar for his supremely successful score for “Out of Africa” five years later, the demand for a release of “Raise The Titanic” resulted in The City of Prague Philharmonic Orchestra making the recording for Silva Screen Records, conducted by Nic Raine who worked as Barry's arranger and orchestrator for over 15 years. This critically acclaimed recording can now be enjoyed on vinyl for the first time.